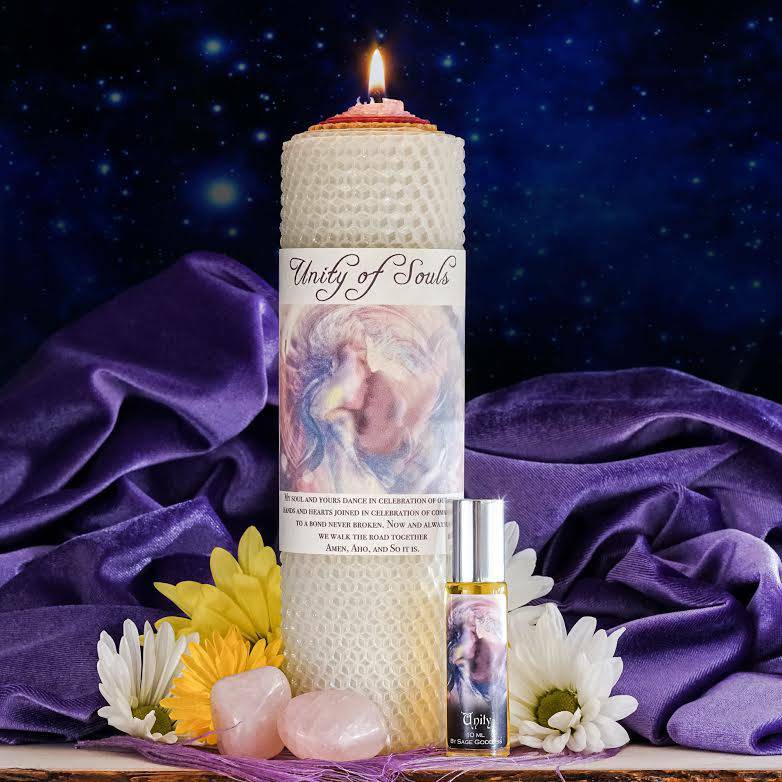 I designed this Unity of Souls ritual set as a way to honor, celebrate, and raise the vibration of global oneness consciousness. Our planet is hurting, our families are hurting, and we are seeing more relationship problems than ever before. Society is disjointed, people are suffering. People are afraid. So I asked myself, “What can I do?” And the tools in this set came to me as a way to help myself and others hold space for all the pain. A positive vibration. One to uplift and stand in the face of fear. We need unity more than ever. I chose the tools in this set to represent a Divine coming together, a more perfect union amongst us all. 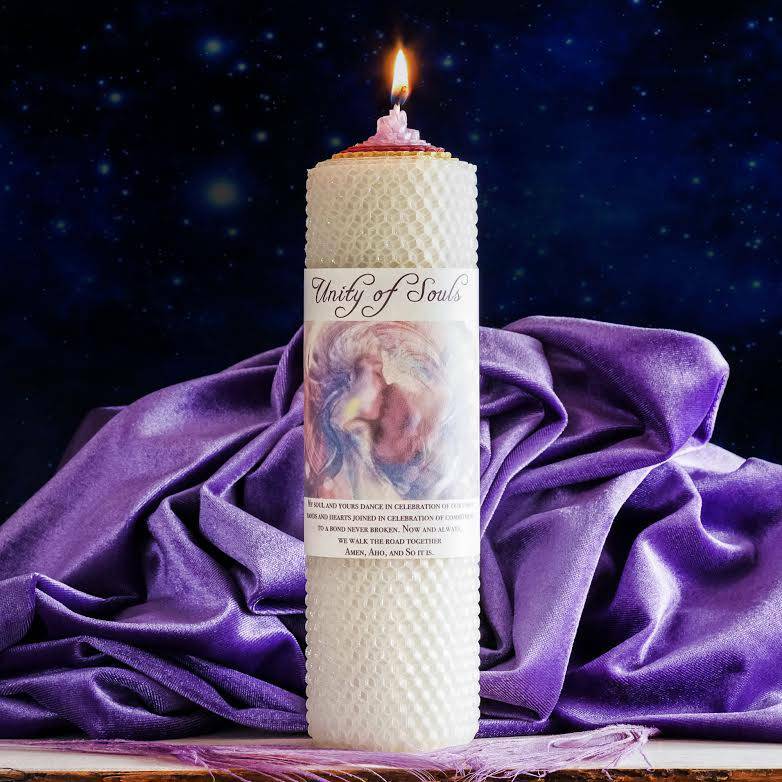 One (1) Unity of Souls rolled pillar candle made with sheets of organic beeswax in ivory, gold, maroon, and lavender. Each sheet has been sprinkled with rose quartz chip stones, and the candle is wrapped with a custom SG logo and invocation. Read the invocation aloud as you burn your candle and pray for Mother Earth, our society, your family, and the entire human race. 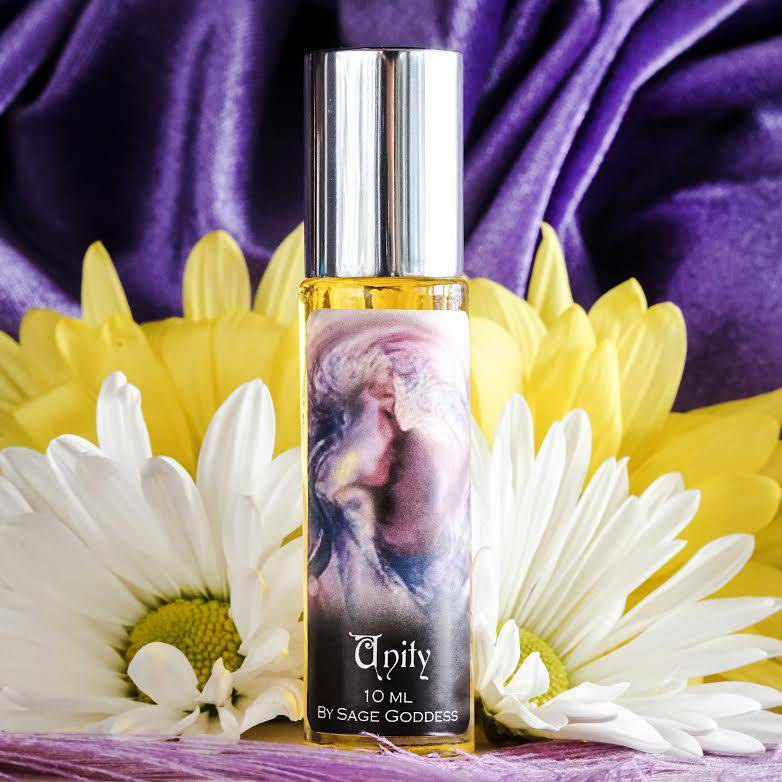 One (1) bottle of Unity perfume, blended with rose, ruh kewda, neroli, and bottle with a rose quartz chip stone. Two (2) tumbled pieces of rose quartz, one for you and one for you to gift to another. 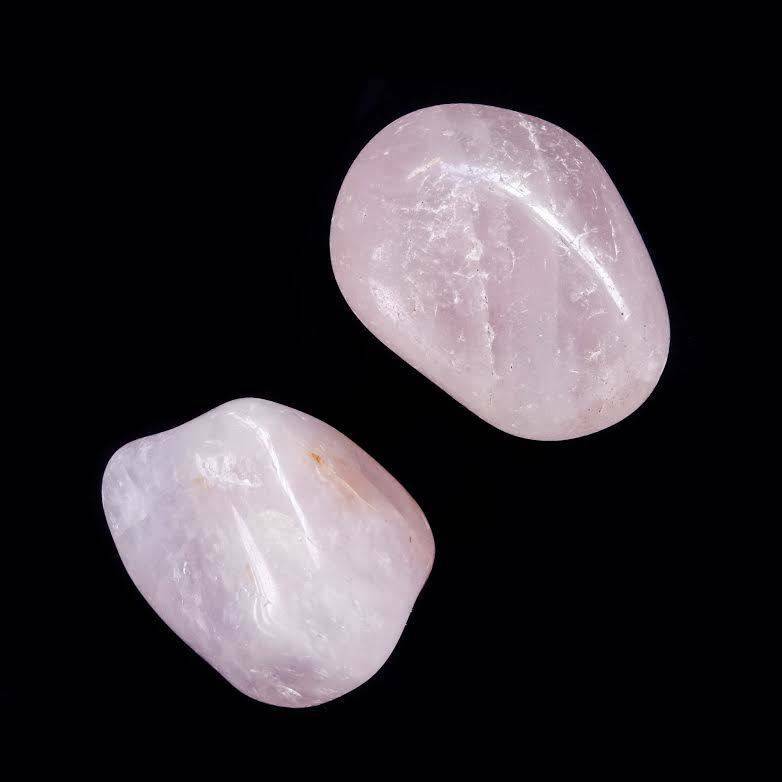 Rose quartz is the stone of universal love, deep love for self, and love for your fellow woman and man. It probably won’t surprise you that this is one of the most desirable varieties of quartz in the entire world. 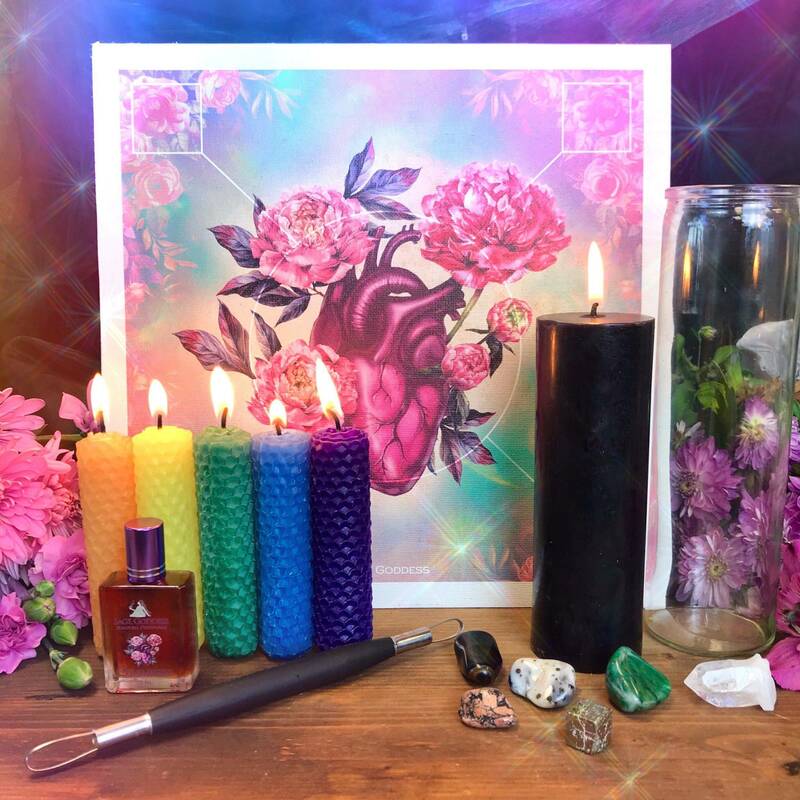 In addition to drawing love, it eases pain, calms nerves, heals the heart space, allows for flowing and easy communication, and brings peace to the bearer. 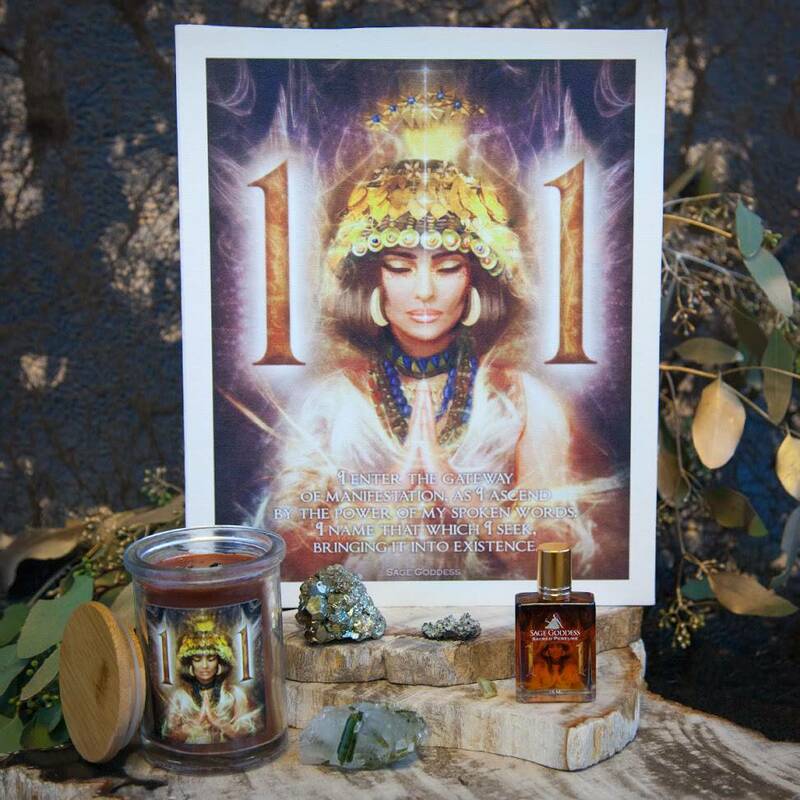 Set up your unity altar at home, and include the whole family in this work. Light your candle, and pray for unity in your community, across the Earth and the Universe. Start within, so you may then serve as a conduit of peace, love, and harmony to those around you. This listing is for one (1) Unity of Souls ritual kit as described above. You can purchase the full set, or purchase the candle and perfume separately. 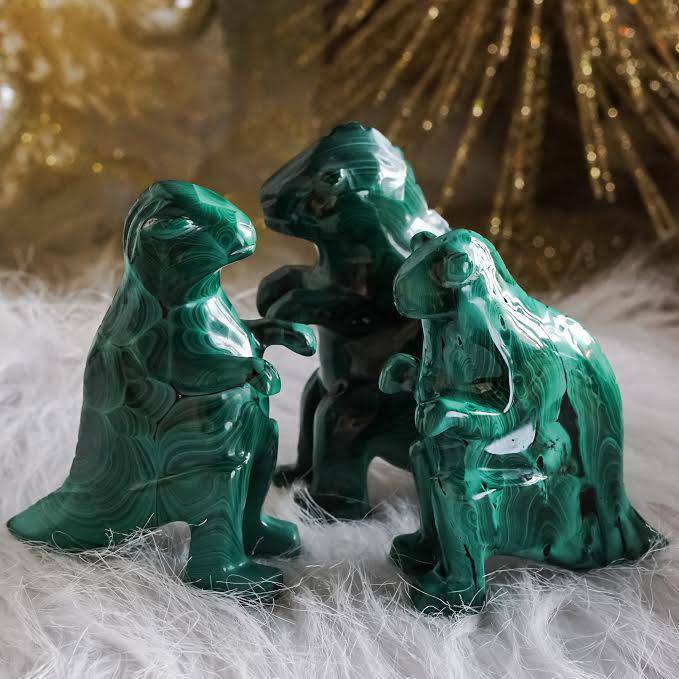 Your treasures will arrive beautifully wrapped and ready for you to invoke the Divine love and unity magic you are capable of.